The most severe and frequent damage is normally not caused by a voltage difference between each conductor in a multiple wire cable, but from those conductor groups or bundles to other conductor groups or bundles. Nearly all severe lightning damage is caused by lightning currents flowing through the house wiring as common mode current. This first example has severe ground loops. It is a danger for many reasons. It does not protect for power line neutral faults, equipment failures, or lightning. With a system like this, we should plan on damage when lighting strikes anywhere near electrical powerlines or antennas. 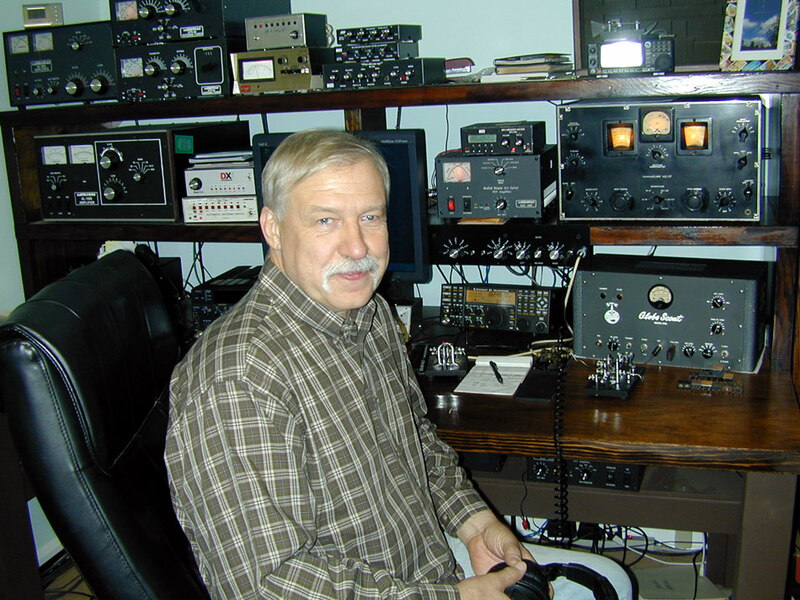 This system is the most common type of wiring used by Hams and CB'ers. It has a tower ground rod or rods, an equipment ground rod or water pipe connection, and an entrance panel ground at the electric meter. It does not comply with national electrical and fire codes, because it is independent entrance grounds. The dashed line from the electrical service entrance panel to the radio room represents the powerline leads in the house. The heavier solid line represents all control and feedline cables from the antennas. This is a very poor setup. Lightning protection, regardless of quality entrance protection devices that might be installed, will be almost nonexistent. 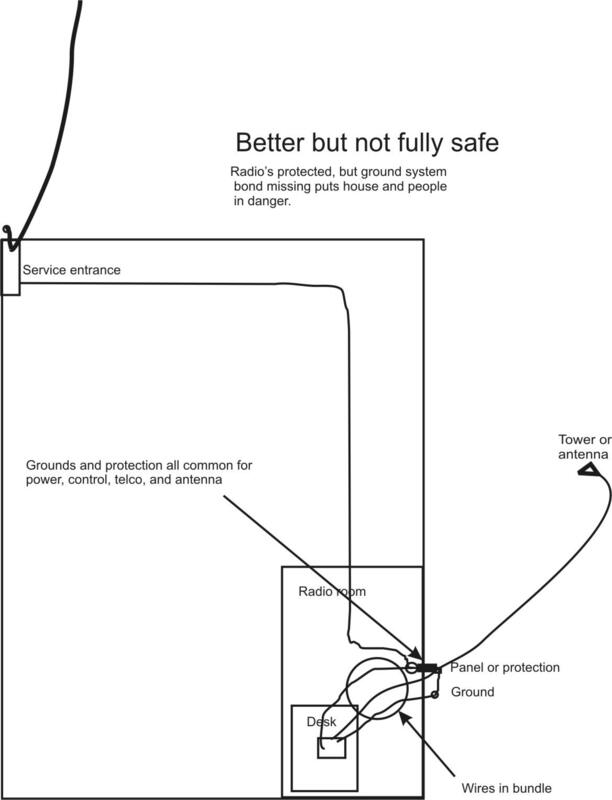 Common mode lightning currents, the worse kind, will simply loop through equipment to the powerline. This is true if lightning strikes on or near power, CATV, or Telco lines, or if lightning strikes on or near your antenna system. This system adds a wide, heavy connection (shown as a thick black line outside house) between the entrance grounds. This connection could go under the house. My bonding connection, for example, goes directly under my house in the crawl space. I use 3-4 inch wide copper flashing with no splices or bends under the house. My bonding connection is kept away from other metallic objects like plumbing, ductwork, and wiring, even though it routes right under the house. The dashed line from the entrance panel to the desk again represents all of the power and telephone lines. The lighter solid line represents feedline and control lines. It goes through a grounded entrance panel. The heaviest line is the bonding conductor. Any desk ground wire should route parallel and near the operating desk to feedline and control wire bundle entrance panel to the feedline entrance panel. Do NOT run the desk ground directly to the station ground rod. Remember while this is much better and meets codes, it is still not the best configuration. 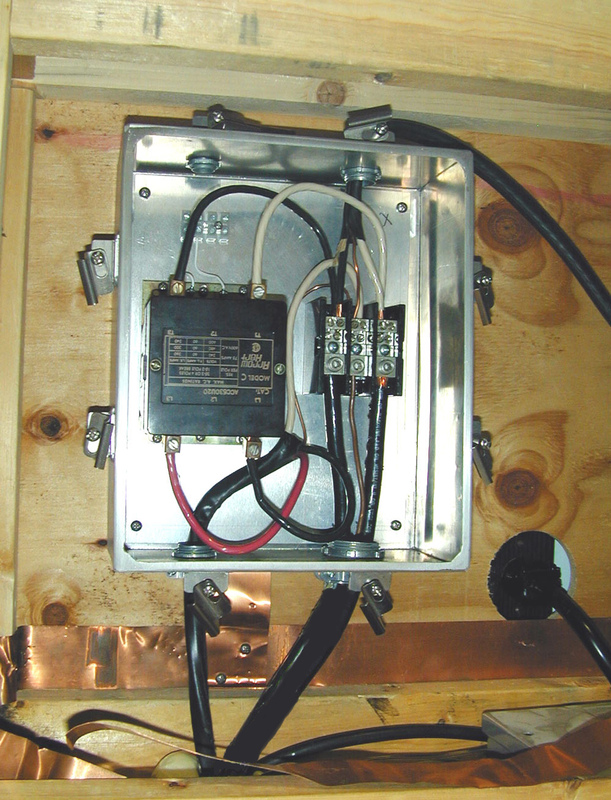 A portion of common mode lightning currents will still flow through equipment to the mains ground unless the radio equipment is unplugged or disconnected from all cables and grounds going to the entrance panel, or both. This is another system that significantly improves protection of the equipment at the operating desk. Unfortunately it omits the critical ground bonding necessary for full house protection. It does NOT meet national code requirements. The mains ground is not bonded to the station entrance ground. EVERYTHING on the desk or connected to the operating desk in the radio room has to routed from the room common point entrance to the desk. No exceptions! The three lines from the panel to the desk are all of the power lines, a line representing all of the control lines and antenna cables, and the ground wire. These lines can and should be bundled or closely spaced if possible. The problem? While it forms a protection zone in the radio room, the path for common mode lightning currents between the antennas and the power lines is through house wiring! This can cause a large voltage difference between electrical wires and other metallic conductors throughout the house. This system meets all codes. This system is nearly as good as bringing all antenna system cables and wiring in at the house utility entrance (which would be perfect). EVERYTHING on the desk or connected to the operating desk in the radio room has to run from the room common point entrance. No exceptions! The closer the radio room cable entrance is to the power mains entrance, the more effective this system is. 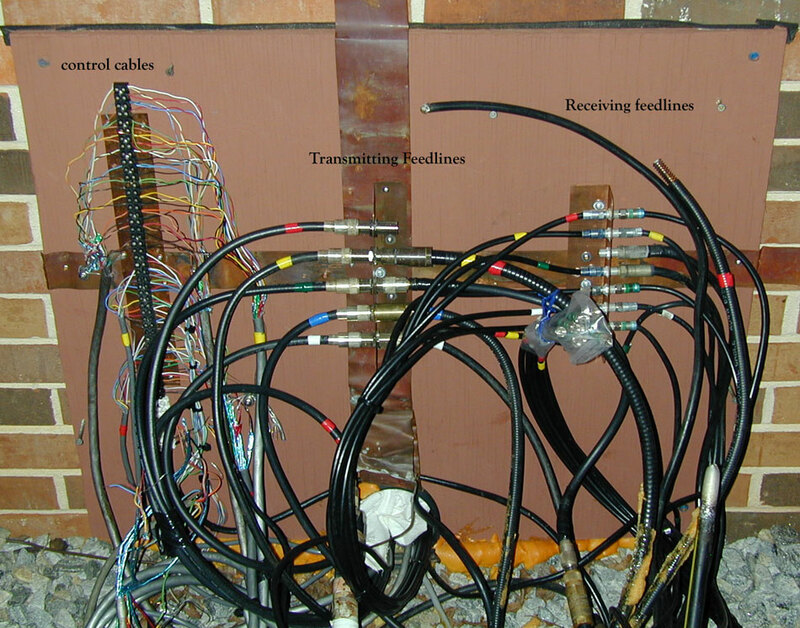 The two lines from the radio room entrance ground panel to the desk include all power lines, with the medium size solid line representing a bundle of all control wires, all antenna cables and any desk grounding wire. These lines should be bundled or closely spaced. Everything entering the desk area, including Telco and power connections, must be routed from the radio room entrance panel common point. The value of the optional tower-to-station bonding conductor connection (longer dashed line) depends on distances. If the tower or antenna is near the house, it is better to bond it in. If the tower if more than 50 feet away, it might as well be isolated on its own ground because the impedance will likely be too high to be an effective bond. The system to the left is my basic system. Pictures are shown below. This is my house station entrance. All control cables are shielded. The house is surrounded by a halo ground. All desk power is grounded to station ground buss. This is my "wire hider" built to look like a window seat. A finished cover fits over it. All cables feed out from here in a bundle to the desk. Just outside the rear wall is my outside grounding point. All cables enter through a 4 inch corrugated pipe. Under desk. 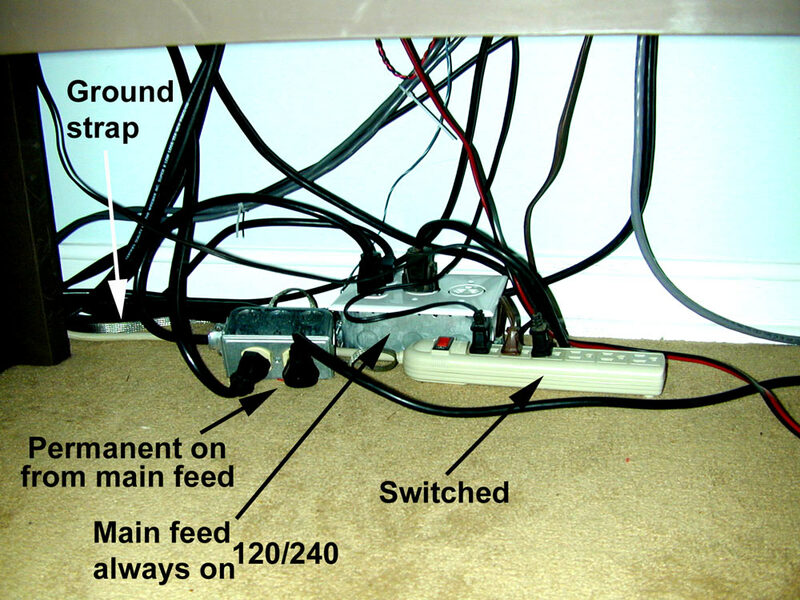 All equipment on desk feeds from common outlets, and all wiring is parallel and close. Without my "wire hider" I would have many dozens of cables feeding the desk instead of only several cables. The wire hider was the single best thing I ever did to clean up my desk wiring. All this equipment runs from only several cables entering the desk area. 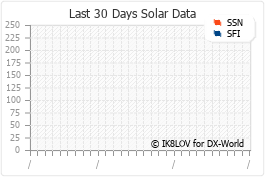 With just a few cables I have the selection of almost 30 receive antennas, dozens of transmitting antennas, and five amplifiers (1500 watts from one sixty through six meters). In addition the flip of a few switches and moving two or three multi-conductor plugs to new sockets transfers all antennas to my contesting barn. Not only does lightning protection improve, station wiring is much more manageable.